The Cleveland Browns had a productive weekend at the 2015 NFL Draft, selecting 12 players across three days and seven rounds. Those dozen players were the most of any team in the draft and the highest total for the Browns since 2000. Included among the picks are a versatile offensive lineman in Cameron Erving; a trio of defensive linemen in Danny Shelton, Nate Orchard and Xavier Cooper; and a pair of cornerbacks in Charles Gaines and Ifo Ekpre-Olomu. The picks brought quantity to the Browns, but more importantly they brought quality as general manager Ray Farmer continues to reshape the roster and give the Browns the type of identity they have been lacking since returning to the NFL in 1999. 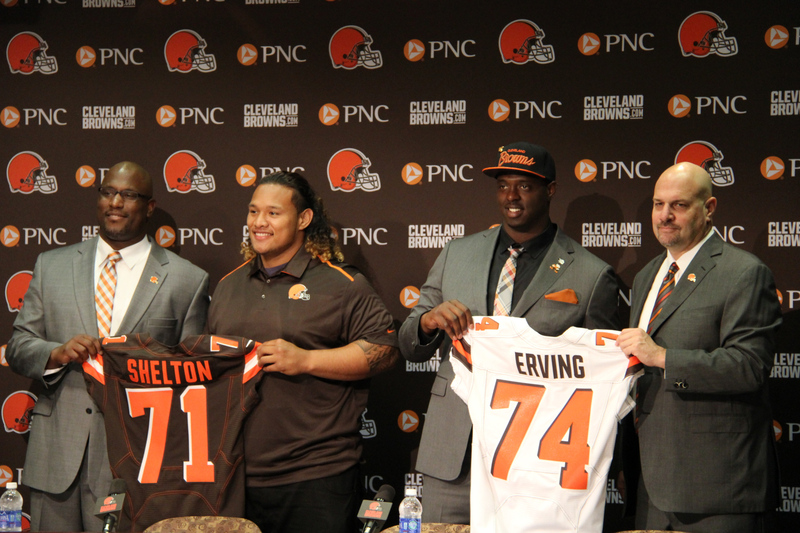 We take a look at what all the work means in our latest post at Dawg Pound Daily.